A Brief History of Aromatherapy – How Did It All Get Started? Did you ever wonder how aromatherapy came to be? If you are like me then you probably did wonder from time to time. Well, I did a little digging online and found some interesting things. Let me share with you a brief history of aromatherapy. Firstly, it is important to know that it goes back a VERY, VERY long time! Thousands and thousands of years! For this very reason, it is hard to credit any one particular culture or person as being the first to discover aromatherapy. Many ancient civilizations used herbs and oils for ritualistic, hygienic, therapeutic and spiritual purposes. They were such a luxury, they were even used as means of payment at times. The word “aromatherapy” was not coined until the 20th century…….I will tell you a little more about that further on in the article. It’s likely that the Chinese and the Egyptians were making use of plants for medicinal purposes within the same time period. It is thought, Chinese culture has the oldest continuous “written history” of any medical system in existence. It’s an herbal and agricultural encyclopedia called Shennong Ben Cao Jing. 365 medicinal plants and their uses are listed in this book. The original version was supposed to have dated back to 2700 BC. Unfortunately, this did not survive, however, it was compiled again between 200 and 250 CE and is still in existence today. That’s pretty amazing! It is interesting to note that there is some archeological evidence from ancient Chinese tombs that show the use of herbs 5000 years ago. The ancient Egyptians used plants in religious rituals. They believed that certain smells could raise their consciousness and heighten states of tranquility. In addition to this, they burned offerings of frankincense to the sun god Ra at sunrise and burned myrrh in the evening, as an offering to the moon god. Frankincense, Benzoin and Myrrh were, at times, considered more valuable than gold – that’s pretty valuable! Some people say the Egyptians are credited with the first distillation machine to extract oils from certain plants. 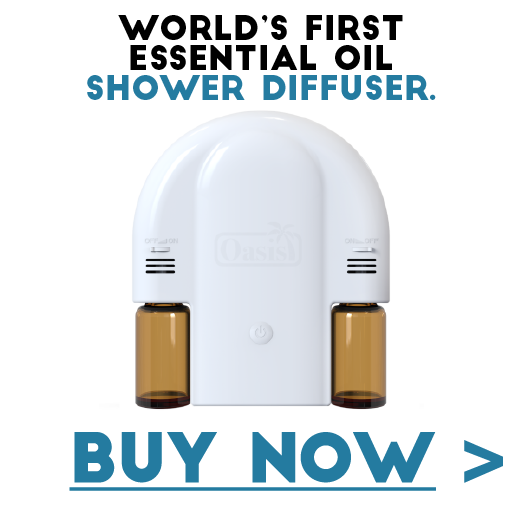 Although I noticed that other cultures were also thought to have been the first to distill oils. The Egyptians were excellent at using plant resins and plant oils to embalm the dead. Jars of Frankincense have been found in ancient Egyptian tombs. A brief history of aromatherapy has to include the Greeks. After all, Hippocrates, “The Father of Medicine” is believed to have used over 200 herbs as infusions and internal medicine. He documented his findings as well. He did not believe that people became ill because of supernatural forces. Hippocrates promoted treating people with baths, physiotherapy and massages, which included the use of plants and their healing properties. Between 40 – 90 AD, Greek physician, Pedacius Dioscorides, wrote a book called Materia Media. The book contained information about herbal medicine. This book formed the core of what was called the European Pharmacopeia (the western world’s standard medical reference) until the 19th century. Fascinating! It’s hard to deny that plants have some very useful qualities. Another interesting thing I discovered was that the Greek gods were supposedly gifted with the knowledge of perfume and fragrance. That’s a pretty long time ago, I’d say! Another very old civilization is India. They have been using fragrant incense, scented flowers, aromatic plants and plant parts for many thousands of years. It was and still is an indispensable part of religious rituals, worship and healing. Spiritual inspiration and cleansing of the soul were thought to be related to fragrances. It is mentioned several times, in the Buddhist scriptures, that Buddha was treated with floral aroma. We can conclude that aromatherapy (although not called that yet) was an accepted way of treating ailments. Right? The establishment of trade routes were due, in part, to the popularity of aromatics. Exotic oils and spices were imported from lands such as India and Arabia. The knowledge of aromatics was virtually lost during the dark ages, due to the decline of the Roman Empire. We covered some interesting history concerning the use of plants for medicinal and ritual purposes. Now, let’s move ahead to more recent times. Let’s look at where and when the term Aromatherapy arrived on the scene. The first appearance of the word Aromatherapy in print was in 1937. A chemist by the name of René-Maurice Gattefossé authored a book called : Aromathérapie: Les Huiles Essentielles, Hormones Végétales. The story goes that while working in a laboratory he burned his hand very badly. The only liquid near him was a vat of lavender oil into which he put his hand, after burning it. His injury healed quickly and with little scaring. This led to his increased interest in the healing properties of plants and the word AROMATHERAPY! René-Maurice Gattefossé experimented with essential oils during the First World War. He applied lavender, thyme, lemon and clove to the wounds of soldiers. An increase in the rate of healing was noted compared to the antiseptics in use at the time. Aromatherapy has continued to be studied and many books have been written supporting the healing powers of aromatherapy. In the late 1970’s and 1980’s, the use of essential oils and aromatherapy became a major part of alternative and holistic healing, worldwide. Well, I think we can all agree, that plants have definite potential to aid us in our health and for some people, their spirituality. The information available on this topic is extensive and I have hardly scraped the surface of what there is to know. I hope you enjoyed reading this article as much as I did writing it. If you have any comments regarding the history of aromatherapy I would love to hear from you. It is always great to share and learn so I encourage you to leave a comment if you like. I would like to remind you that essential oils are very POTENT and should be used with common sense and caution. Always read the labels. If you are currently taking any prescribed medication it is recommended that you speak to your doctor before using essential oils. If you are concerned about allergies, you may want to perform a patch test on your skin. Do you suffer from headaches or migraines? I have experienced both and I know how it feels. There are many reasons you may be suffering. Some triggers for the common headache are allergies, fatigue, low blood sugar, constipation, alcohol or drugs, stress…..the list goes on. Did you know that you can use essential oils for migraines and headaches? Not only will they help lessen your discomfort but they will make the air you breathe quite lovely! In this article, we will be discussing the symptoms of both headaches and migraines. We will also list a few possible EOs that you may like to try to alleviate your pain. Headaches can be described as mild to severe pains in your head that can cause aching and pressure. A headache can last anywhere from 30 minutes to week. I have had headaches but never for a week!!! According to Wikipedia, there are over 200 kinds of headaches. Wow! The most common headache is a “tension” headache. It feels like a tight band around your head. You may also feel tenderness in your shoulders, neck and scalp. Although it is not well understood, it seems the most common trigger for a “tension” headache is “stress”. No surprise there, we experience so much stress in our modern day world. It is making us sick and that is a sad thing. Migraine headaches are often intense and will typically be felt on one side of the head. It is possible, however, to have a migraine that is felt on both sides. The pain can be described as a “throbbing” sensation. It can be so uncomfortable that performing daily tasks can become difficult. Peppermint EO is a popular choice! The active ingredient is menthol, studies have indicated that it can relief migraines. Dilute in your favourite carrier oil and apply to temples and forehead. There are small “roll on” tubes available on the market. These tubes are small enough to toss in your pocket or purse. You can always have it with you. That’s pretty handy! Rosemary and Lavender EOs are both thought to ease tension and ease pain of headaches and migraines. Great when diluted and rubbed into your temples, neck or wrists to help you feel better. Chamomile is not just a tea! The EO is known to soothe muscles and relax the body. In addition, it can aid in the treatment of insomnia and anxiety (these are common triggers for a headache). Chamomile can be added to lotion and rubbed into your skin, mixed with a carrier oil and used in your bath water or inhaled with a diffuser. Eucalyptus essential oil is one I always have on hand especially during cold season. It is an expectorant which means it cleans the body of harmful microorganisms and toxins. It does this by loosening mucus, hence nasal airways open up and sinus pressure is eliminated thus no nasty sinus or tension headaches! Perfect! Use in a diffuser or add to a carrier oil and put it on your chest, forehead, temples and neck. Sandalwood EO is known as a remedy for migraines as it soothes pain and controls an upset stomach. Add to a carrier oil and add to your bath or diffuse and breathe it in. As I mentioned, I know what headaches and migraines feel like. I have found relief using EOs and I hope you do too. Please take proper precautions when trying a new EO. To test for allergic reaction, you may want to do a patch test. In addition, if you want to use an oil topically, it is best to dilute it first. If a headache is persistent, please visit your doctor. Sometimes, headaches are an indication of other problems in your body. Thank you for taking the time to read this article. If you have any feedback regarding the topic of this article I would love to hear from you.